In these teenage years of challenged identity & frustrating social dynamics it’s hard to find a safe space. 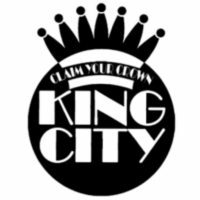 The leadership of King City want to change that. Our identity is anchored in what Jesus did for us, not where we are from, what we have done, or how we portray ourselves. We are passionate about discovering God’s heart for us and seeing others the way He sees them. Every Wednesday night after worshiping with the church meet with Andrew Ditchfield & Rachel Swim as we gather for teaching and conversation. The message is often based on what the pastor is teaching so the whole family is learning together. The last Wednesday of each month is our Fun Night! Come prepared to laugh and build friendships that will last. On Fun Night we skip worship and get straight to the games.